I will be reviewing my experience on the Models Own website, the packaging, postage time, and the products. This post will also have swatches of the Topshop trio of polishes I bought in this post. Inside the bubble wrap, the polishes were again wrapped in more bubble wrap! Super safe and secure. 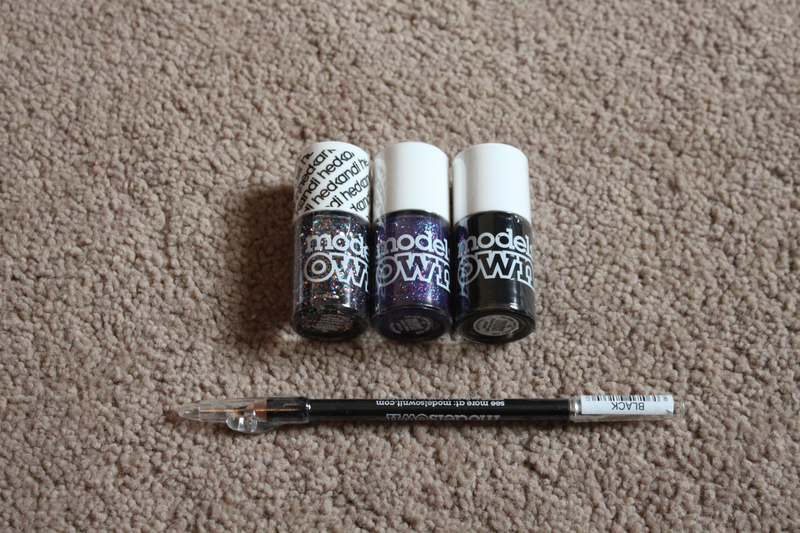 They had an offer on which was buy 3 polishes and save £3...The postage cost is 2.95 so essentially you're saving 5p. 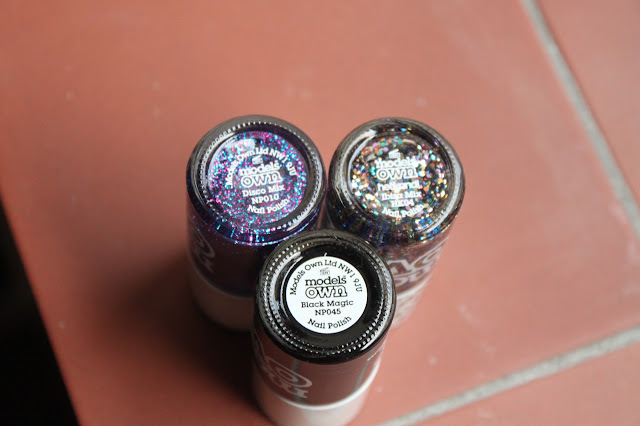 I opted to buy these online as the glitters are often unavailable in the Boots in my city. They also had an offer where you can get a free black Kohl pencil if you spent over a certain amount. 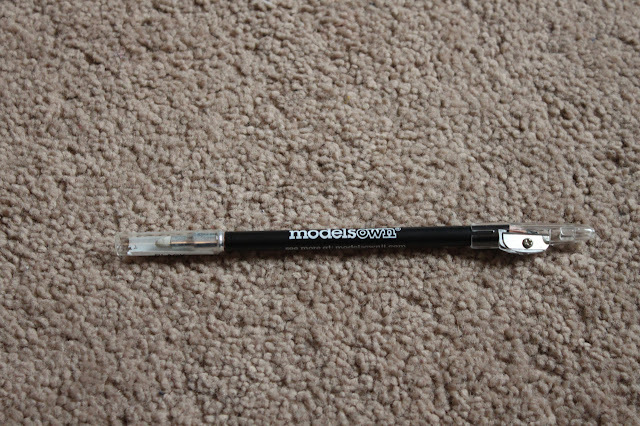 Free black kohl pencil, has a sharpener at one end and a smudge-r on the other! The online shop is really easy to use, I got a confirmation email on the day, and an email saying it had been shipped the next day. It took about 2 days to get to me and came very well packaged. 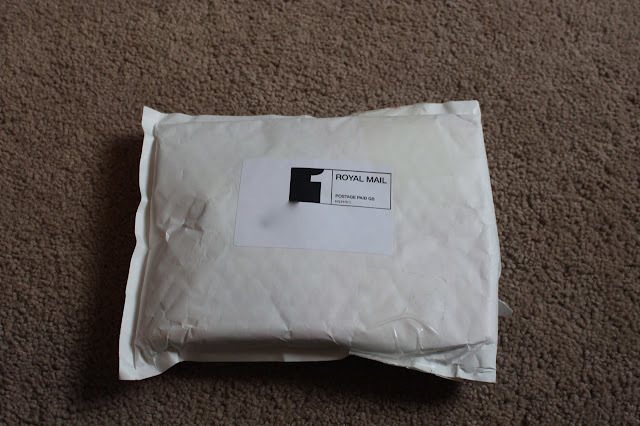 There was an invoice included in the parcel and a small style magazine (always nice!) Everything was securely sealed in layers of bubble wrap. 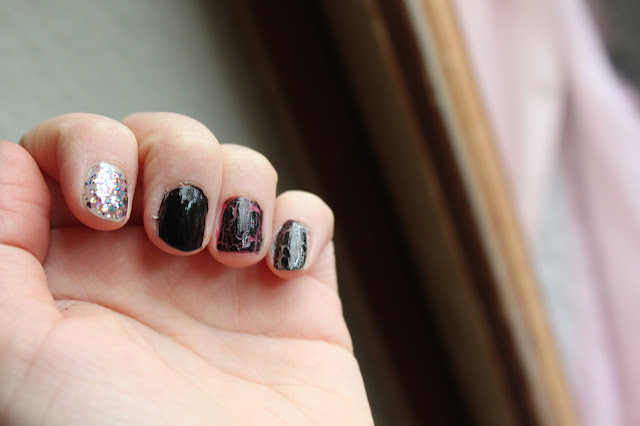 The glitter polishes applied nicely and evenly. 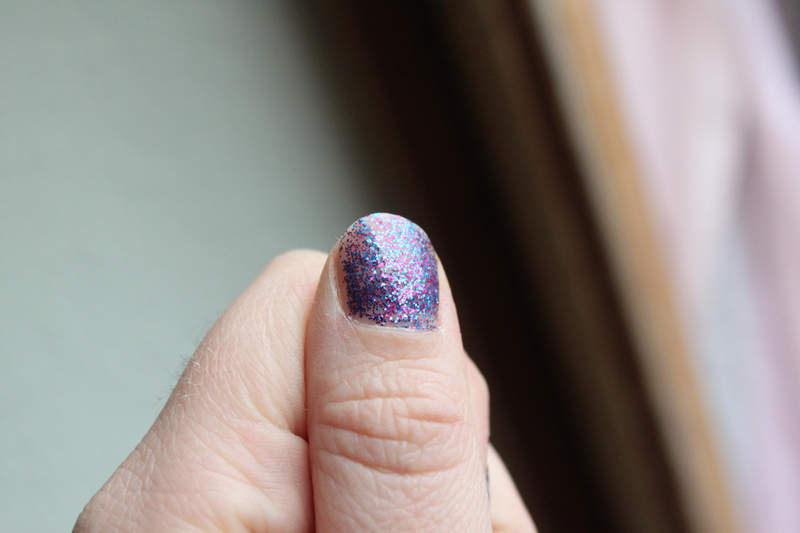 I prefer a full coating of glitter so I would use at least 2 coats for my nails. 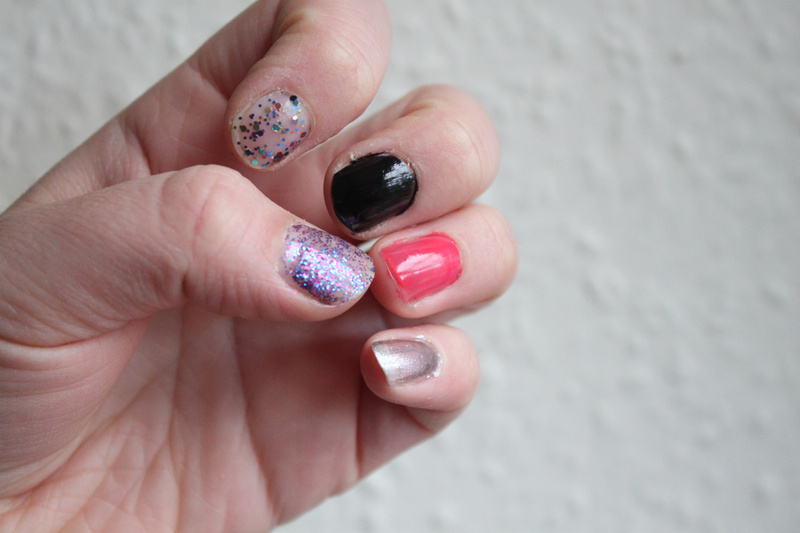 They both have a really nice mix of colours and are easy to work with. The black polish is a solid opaque colour, and one of the most amazing black polishes I've ever used, in all fairness I've only ever used cheap brands, but still. This polish applies opaque in just one coat, it's got a really nice consistency. 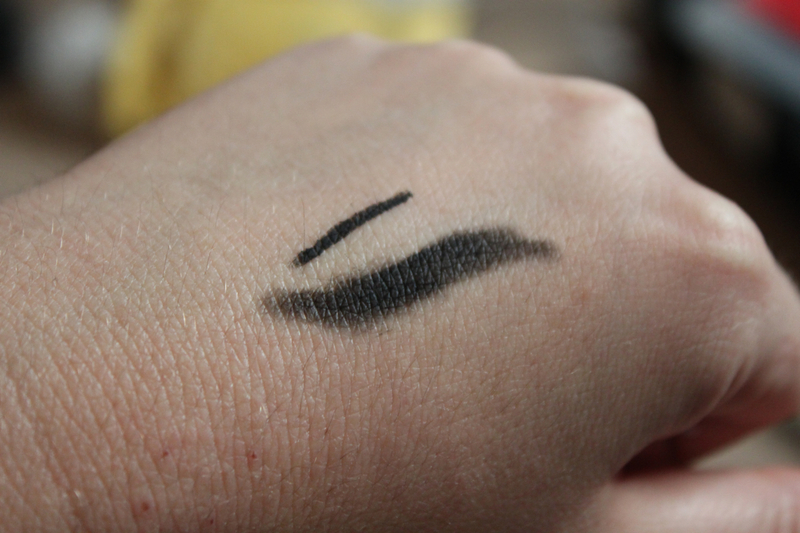 I've used it in every look I've done since it arrived at my house. Good communication, fast shipping, well packaged, lovely polishes. I have Disco Mix and I love it. It's really good to know there service is great because I was thinking of buying some when they have that big 50% off thing.